At this time, Moodle does not have a built-in plugin to check for plagiarism. In order to check assignments for originality, you will need to link to an assignment using SafeAssign in Compass 2g. Repeat steps 3-5 for additional assignments within the same course and semester. This site is created only for the purpose of containing SafeAssign assignments that you will link to from your main Moodle course. Select Registrar-Affiliated Space (to ensure that the students get automatically loaded from Banner) and click Next. Find the course that you are teaching and follow the prompts. You will receive a notification email when your course has been created. When you receive notification that your course has been created, go to https://compass2g.illinois.edu/ to access your new site. Creating a link back to your Moodle course site helps students navigate back if they get confused. If possible, explain the logistics in class to prevent confusion. Students will most likely go to Compass for other courses and when they see your course in their list of courses they may expect to find other course material there. Therefore, it is advisable to create a link back to your Moodle course site, with a brief explanation. Go to https://compass2g.illinois.edu/ to access your new site. Mouse over Build Content and click Web link. Under "URL", paste the link to your course home page. Under "Description", "Text", you might write something similar to the following: This Compass site is used exclusively to check for paper originality. Please return to the Moodle site for all other course materials and grades. The Compass 2g assignment is where students will submit their paper and have it checked for plagiarism. This will be accessed by a link in your Moodle course site. Mouse over the "Assessments" heading along the top of the page and select Assignment. In the "Name and Color" field, type in the name of the assignment. Under Grading, enter the number of "Points Possible". Under Grading, click Submission Details. Check the checkbox for "Check submissions for plagiarism using SafeAssign". If you would not like students to be able to view their originality reports, make sure "Allow students to view SafeAssign originality report for their attempts" is unchecked. If you only plan to grade in Moodle (recommended), click Display of Grades in the next section. Uncheck "Include in Grade Center grading calculations", "Show to students in My Grades", and "Show Statistics (average and median) for this item to students in My Grades" so that students will not be confused by having grade displays in both Compass 2g and Moodle. Your assignment will now appear on the main page. When your Compass 2g assignment link is not converted, students will get an error message if you they are not already logged into Compass. Convert the link to ensure a seamless transition from Moodle to Compass 2g. Click on the Compass assignment. Copy the link at the top of the browser. Paste the Compass assignment link into the "Original URL" field. Click Copy to clipboard to copy the link. 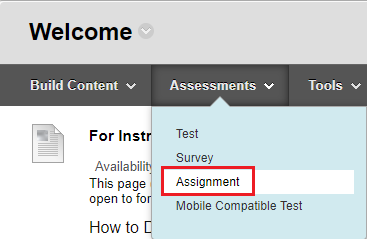 There are several ways that you can integrate the Compass 2g assignment into your Moodle course. Here, we suggest adding it as a link within a Moodle assignment so that the assignment will be included in your Moodle course gradebook. Create an assignment in Moodle with the same name for students to submit the paper. This will insure that the assignment appears in the gradebook. As a general tip, please ensure consistency in the names of assignments between the syllabus, Moodle & Compass. In the instructions for the assignment, specify that students need to submit the paper twice. This way, you will have a copy of the paper without having to navigate to Compass 2g. Sample text: "You will need to submit your paper twice. First, please SUBMIT YOUR PAPER TO THIS COMPASS 2G ASSIGNMENT LINK to check for originality. Then submit the same paper to Moodle using the orange "Add submission" button below." Note: Alternatively, you may suggest that students only upload the assignment to the Compass site and you can enter grades in the corresponding Assignment activity even though there is no actual submission. Insert a link to the Compass 2g assignment by highlighting the text, clicking the chain link button (see image above). In the "Link URL" field, paste the converted Compass 2g assignment link. In the "Target" field, select "Open in new window" from the drop-down menu. 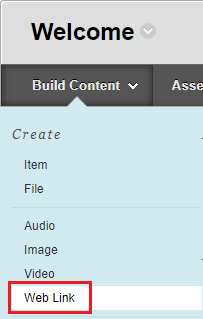 Add other assignment details and click Save and display. If you need help with this transition, please don't hesitate to contact our ATLAS-TLT team at atlas-tlt@illinois.edu. We are happy to help with explaining any parts of the procedure, and/or setting this up for you in your course.